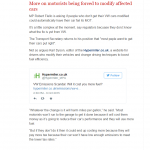 Home › emissions › VW Emissions Scandal: Will it cost you more fuel? VW Emissions Scandal: Will it cost you more fuel? How the mighty have fallen! VW’s attempt to fool emissions tests has left the group in tatters and destroyed their reputation. 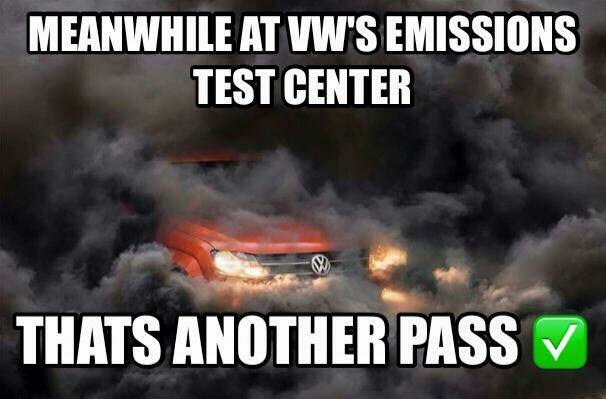 In the aftermath, regulators are now looking to the future and how VW will “fix” the 11m cars effected. Yesterday the boss of VW, Matthias Müller confirmed a technical fix for the affected cars was close to being approved. He said that some models will only require a software fix, whereas others will need software and hardware updates. What has yet to be confirmed is how these fixes will change things where it matters, in the pockets and minds of the millions of motorists it’s effected. If the stats are right and some vehicles are emitting up to 40 times the allowable emissions into the air, a compromise will be inevitable. A software fix, also know as “chipping” effects the cars ECU or brain and allows changes to many of the vehicles systems including intake, turbo and fuel pressures. Usually “chipping” or remapping a car is designed to make them go faster. In most cases gains of 40BHP or more can be expected by increasing the turbo pressure and fueling, certainly not a remedy for reduced tailpipe gases. To actually reduce this we expect that the compromise will come in the way of decreased performance. 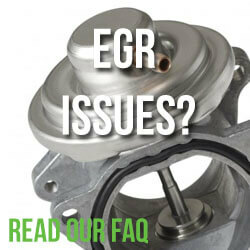 If its a hardware fix we can expect even more filters, sensors and things to go wrong. 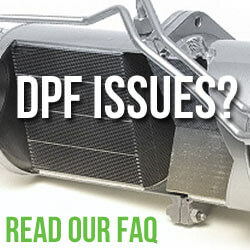 Just look at the issues with DPFs that have plagued diesel car owners for years. If there’s one thing we can be sure it’s that this fix will not allow the level of efficiency VW owners have been enjoying. It’ll be costing drivers more at the pumps and we quite possibly more when it comes to road duty. What ever the fix there’s on thing for sure, VW have their work cut out in order to win back the trust of regulators and motorists alike. ‹ Sign the Which? 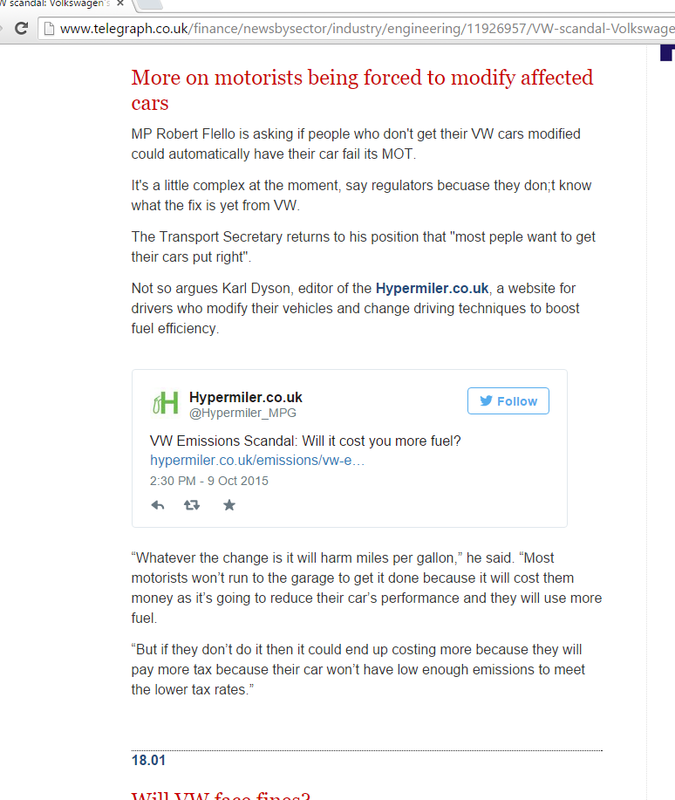 petition for action on manufacturers fuel efficiency claims! I have an Skoda Octavia and just received a letter to say that it is one of the affected cars. Thanks for letting us know. Did the letter give any more information on their plan to “fix” your car going forward. I’m currently in the process of looking at a new Octavia and according to the dealer @ Progress Skoda Northampton its only effecting Euro5 cars and not the newer Euro6 vehicles.